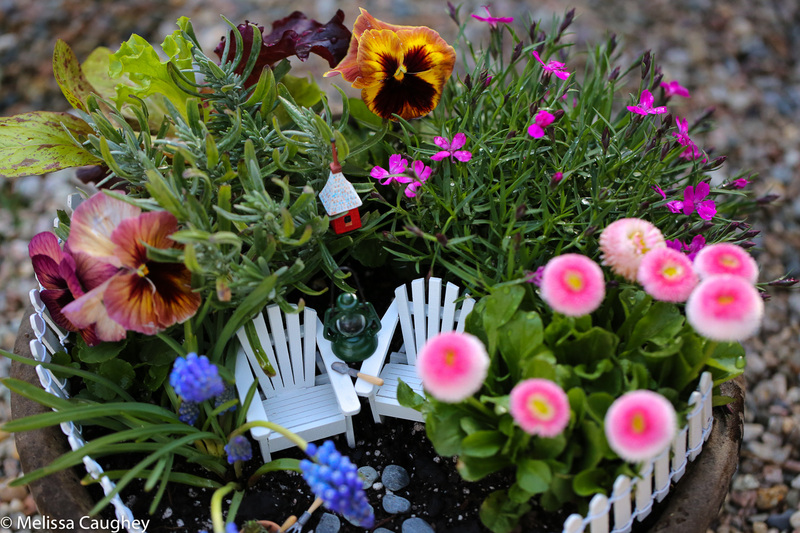 I love gardening in miniature and with spring in the air I could not help myself. 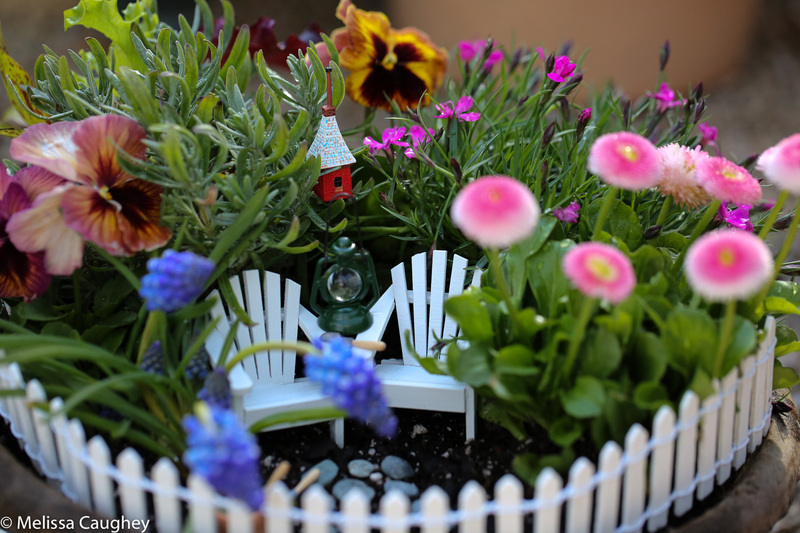 My daughter and I decided to create a miniature garden that we would both love to spend time in. 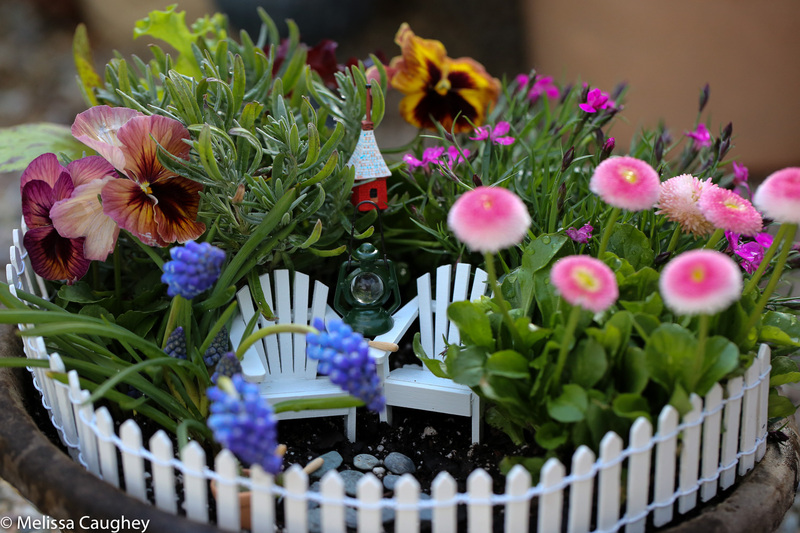 With a cottage garden as inspiration, the entire miniature garden came together in under an hour’s time. 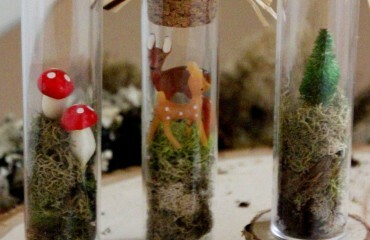 We had so much fun creating this outdoor scene. For the plantings we chose pansies, grape hyacinths, lettuce, lavender, dianthus and english daisies. 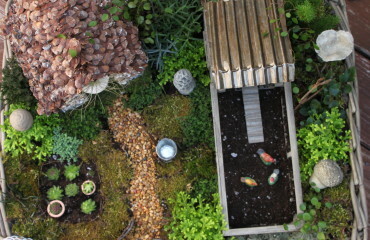 We even used a small little bit of sedum. I’ll share more on that later. 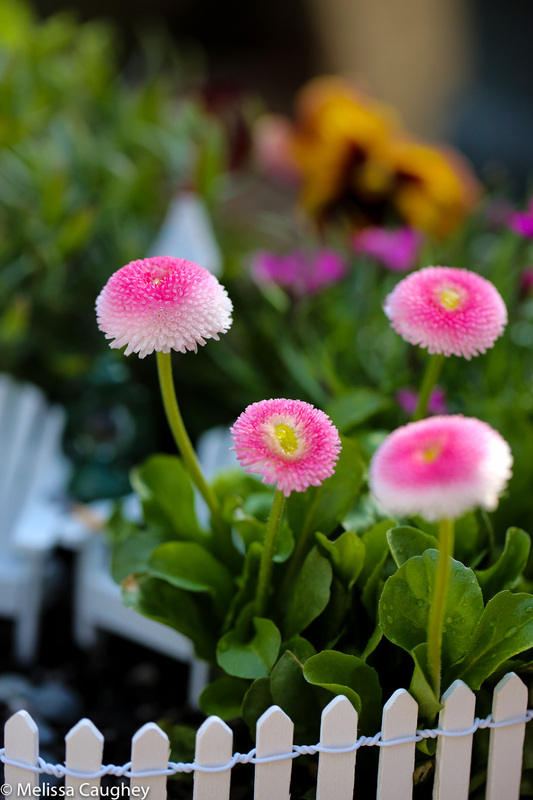 Begin by filling your container with potting soil. Starting at the back of the container, begin to add the plantings. Here I chose to add the larger plantings to the edges and the back. 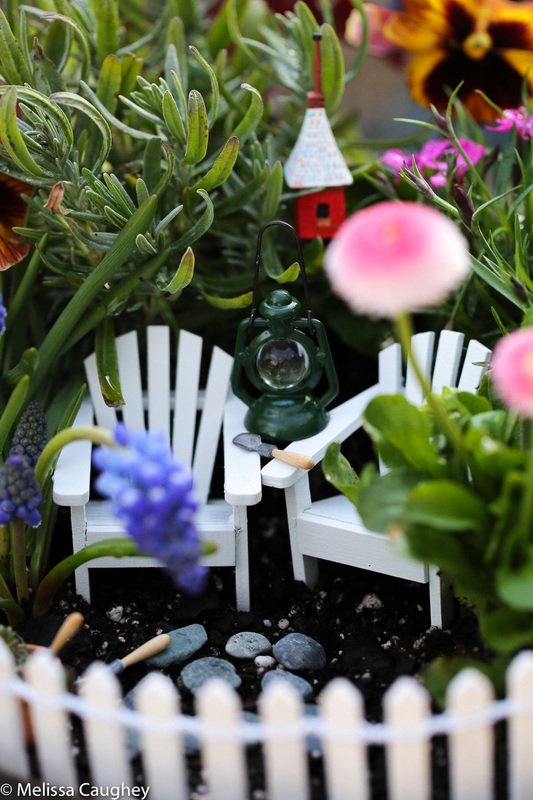 I wanted the feel of a tiny little escape spot in the garden, a secret spot if you will. 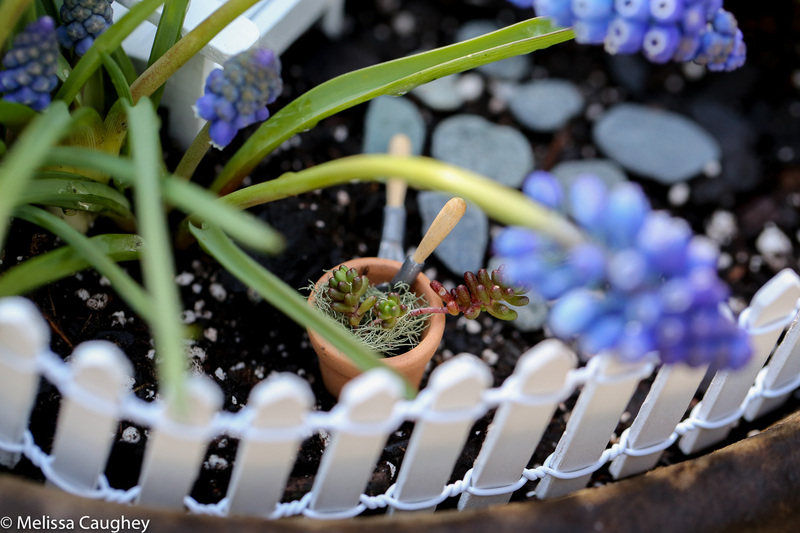 Closer the the center of the planter, I chose to showcase our favorites– the grape hyacinths and the english daisies. To the front we wrapped the sweetest picket fence around the front to frame the scene. Next we added a couple of adirondack chairs. We also laid a small pebble path to mimic bluestones that lead into the garden. 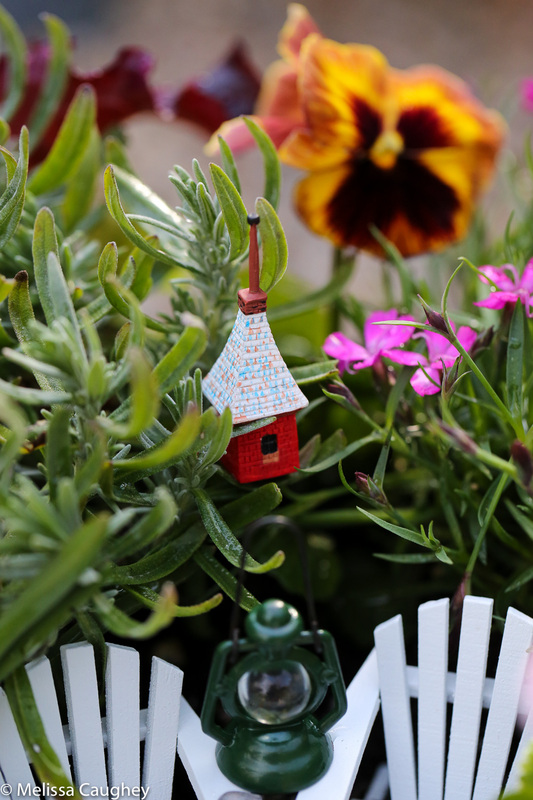 Then we added some whimsy by tucking a birdhouse into the lavender. A lantern is placed on the chairs to illuminate the night, just in case someone wanted to linger just a little bit longer. Miniature tools appear as though we just missed those working in the garden. A small little bit of sedum and moss fill the most darling little terra-cotta pot. We had so much fun creating this miniature garden and hope you are inspired to try creating one too! 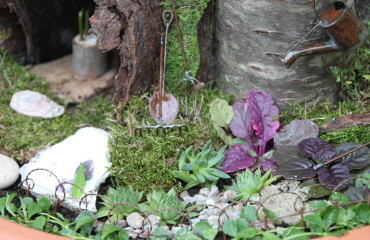 A special thank you to miniatures.com for supplying all the miniature items in this garden.